It’s interesting to try and imagine what other people think, especially if that someone is famous. For example, you can’t help but wonder how George Lucas feels about the universe he created with his films or how Walt Disney felt when Disneyland opened. 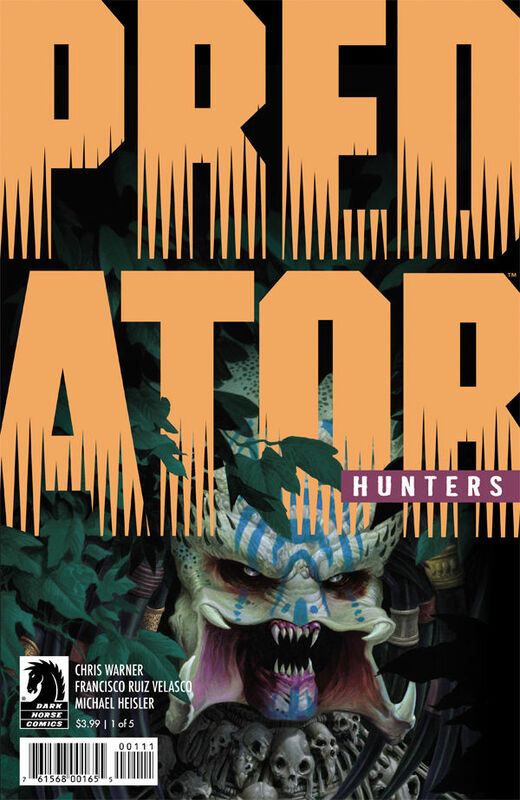 Reading Predator: Hunters #1, I wonder how Shane Black feels, knowing that he created one of the most iconic monsters in film history, and that his horrifically beautiful creatures inspire such wonderful stories like this. 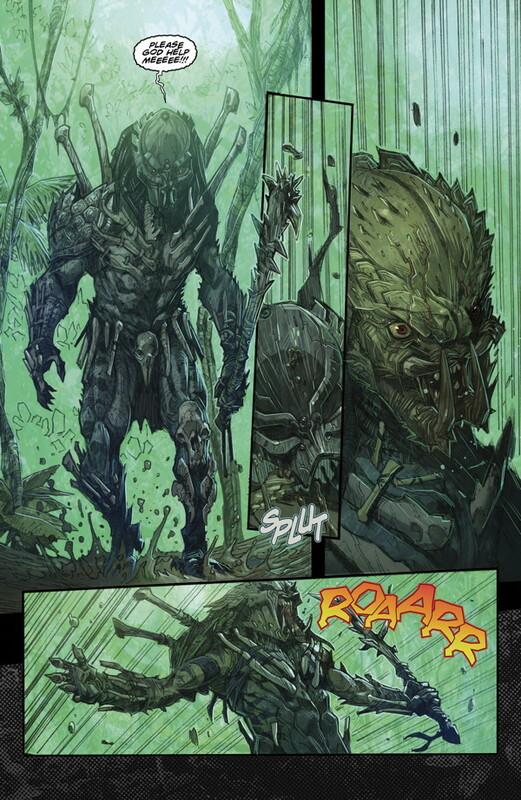 The first thing that really struck me about this comic was that, yet again, we’re introduced to a new style of Predator; one that is wholly unique to this comic, and stands out in its primitiveness. It wears armor, but the plates are tortoise shells and bone, and it wields a terrible weapon, one that is very obviously hand-hewn (and no less lethal than anything else you’ve ever seen them carry). More so than any other Predator we’ve seen yet, this one stands out as the deadliest and truest king of the jungle. The next thing that I noticed was that there are good guys, bad guys, bad bad guys, and good bad guys. It really speaks to the talents of the writer, Chris Warner, that, in the space of 12 pages, he wastes no words but paints a perfectly clear picture of who and what every character is. It’s like watching a puppet master at work, but you, the reader, are the marionette, and he gets you to love or hate the characters he wants you to love or hate. From an artistic perspective, Francisco Ruiz paints a great picture…quite literally. Not every penciler can make still pictures look like they’re in motion, and Ruiz makes the panels feel like they’re flying during the high action; however, he also keeps you drawn into the still moments with subtle changes. As your eye drifts over the page, you’ll feel camera motion and see the characters move from panel to panel and page to page at just the right pace. It’s like watching anime – full speed action at a thousand miles an hour transposed against subtle direction and camera angles. Of course, no art is complete without colors and inks, and the subtlety of both throughout the book only add to the depth created by the writer and penciler. Good colors make readers feel something, and throughout this book every shaft of sunlight was warm, and the depths of the jungle were fascinating. Whether you’re a long-time fan of the Predator universe, a fan of action comics, or just someone looking for a good read, this one is definitely worth a pickup. Win Batman: Heart of Hush HC Signed by Dustin Nguyen! Enter to Win a Comic Signed by Gerard Way! Win a Signed Copy of Solomon Kane by Scott Allie! Win Signed Copies of Buffy Season 8 #1 and Witchblade!